Jimmy Garoppolo isn’t playing second-fiddle to anyone anymore—not on the field, and not at the bank. Tom Brady’s former backup (whose departure from the Patriots is at the crux of an alleged feud between coach Bill Belichick, owner Robert Kraft, and Brady) just inked a monster deal with the San Francisco 49ers. Garoppolo signed a five-year, $137.5 million contract that will take him through the 2022 season and to the top of the NFL’s highest-paid list. Garoppolo’s average per-year earnings will be the greatest in the league’s history, and he is guaranteed $90 million over the next three years, according to ESPN. Garoppolo joined the 49ers back in October, after the team limped to an embarrassing 0-8 start. But with Garoppolo under center, the 49ers quickly transformed and went on to win their last five games of the year. And all that solid play has literally paid off for Jimmy G. The quarterback—who has just seven pro starts to his name—is set to make an average of $27.5 million for each of the next five seasons. Brady, on the other hand, makes a paltry $20.5 million a year under his current contract. Garoppolo is unlikely to top the salary list for long, though. According to NFL.com, the QB’s gigantic deal will be used as leverage by other highly sought-after players like Kirk Cousins, who is likely to become a free agent soon. 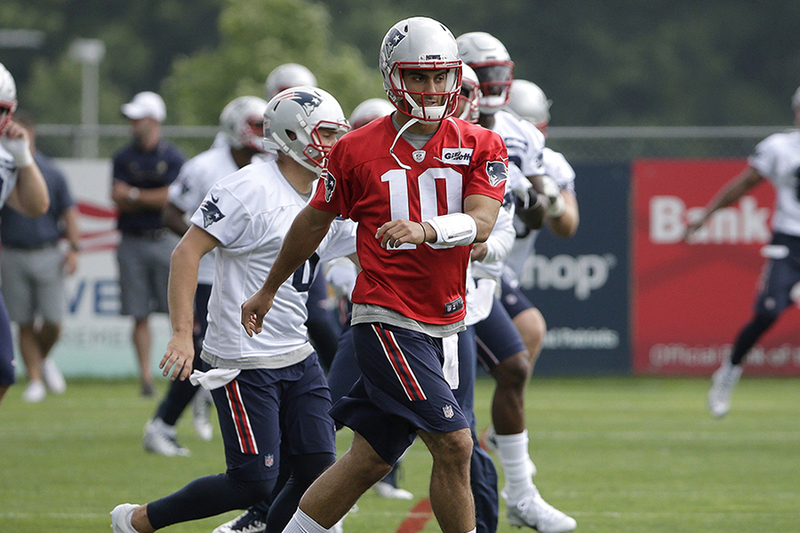 But for now, Garoppolo has to be feeling pretty good about his soon-to-be swollen bank account. After all, cold, hard cash feels a lot better than allegedly being locked out in the cold at Alex Guerrero’s training facility.